Government Executive EVP and Editor in Chief Tom Shoop announced to staff in a late morning memo today that Katherine Peters will join the media group as deputy editor. Peters was most recently a senior defense correspondent and launched Government Executive’s homeland security beat in print and online. See the full announcement, after the jump. 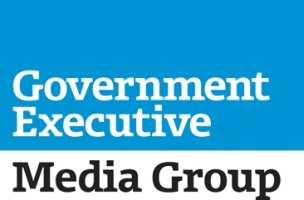 I’m very pleased to announce the appointment of Katherine Peters to an important new role at Government Executive Media Group. She will serve as deputy editor, reporting to me. Throughout her nearly 20 years with our organization, Katherine has set the highest editorial standards. She has served as our senior defense correspondent and inaugurated the homeland security beat on the magazine and GovExec.com. Under her leadership, Nextgov has reached new heights. She’s overseen not only award-winning daily news coverage, but led the implementation of key initiatives such as Nextgov Prime, the Bold Awards and Threatwatch. We have begun the search for Katherine’s successor at Nextgov, and hope to make an announcement about that position in the near future. I couldn’t be happier Katherine has agreed to take on this new responsibility. Please join me in congratulating her.